Think The Dirty Dozen in a sci-fi setting and you've probably got the starting point for this novel. The only survivor of a major future battle with beings called the Anskers is literally dug out of the pile of bodies in the wake of the fight. The spoils of war after the fight leave the humans with a world called Godeena, a mysterious planet that the Anskers seem all too eager to give away. The survivor, Major Broncon, is charged with gathering a group of inmates from a prison world and shaping them up to become a team to investigate Godeena - but even as the team starts training, teams already sent to the world start to die at the hands of an all-powerful being. This novel was, I'm sad to say, rather hard work. It's clear that it's a work in translation - but that's not the major difficulty, even if some parts read a little oddly at times. No, rather it's the structure of matters that really makes it hard to get to grips with. To start with, we're thrown into a battle where vast numbers of people die, but we don't know any of them so it's hard to care as a battalion of redshirts bites the dust. Then the mission itself seems confusing - if there are already teams being sent to the planet, why does this team of the meanest of the mean have to be assembled? Add to that the characterisation of that team - where we barely get to know any of them - and we're left with a bunch of people we don't care about going on a mission that appears to have little reason to take place. I asked "Why?" a lot while reading this. Throw in on top of that some really awful treatment of the female characters - one character, for example, is dismissed as a lesbian until she is saved by another character and then hints that she'll make it up to him in the bedroom later. Another character, a secretary at the prison, pops up for no reason seemingly other that to provide eye candy for the prison warden and the major to ogle and then never appears again. For a supposedly hardened crew of soldiers and prisoners, it seems the female characters spend a lot of time breaking down in tears or swooning over the major too. In short, the plot didn't really hold together, while there was more time lavished on giving some of the weapons character than the cast themselves. Even the Anskers we meet at the start remain an unexplored mystery. I wish I could have liked this more, but it just feels like a few drafts short of a polished project. 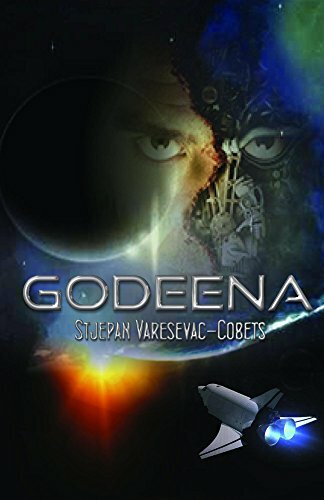 Godeena is available on Amazon here. 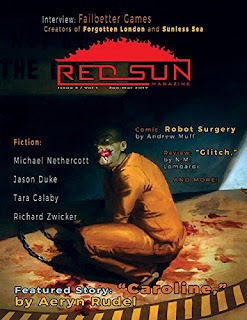 I've reviewed previous issues of Red Sun Magazine, and now that we're up to its third issue, I think we can safely say that it's found its groove. This issue has a horror feel to it - from the interview with the creators of the Sunless Sea computer game through to the cover story featured, a short story called Caroline, by Aeryn Rudel, that will just leave you with the heebie jeebies, skin crawling with both the action of the zombie-inspired tale and the implications it leaves behind. Excellent work by Rudel. Jason Duke's Draft Dodgers meanwhile gives a glimpse of a world of veterans making do with replacement limbs and dependent on a government that not only doesn't care but actively games the system to find ways of encouraging the veterans to remove themselves from the society that no longer cares about them. Michael Nethercott's Taddock's Ride launches into a supernatural charge of the Light Brigade, while Richard Zwicker's Wyrd Times forges a legend from those who Beowulf left behind, both soldiers... and dragons. A special note of praise for Tara Calaby's The Starlight Circus, a disturbing tale of a boy's trip to the circus that touches on love, loss and the consequences of the actions we take. Throw a bunch of extra articles into the mix and there you have it, another smashing read from the Red Sun team. Personally, I'd love if they mixed up the order of the collection a bit more so that the articles interspersed between the stories but that's really the pickiest of points. Red Sun Magazine issue three is available on Amazon here. Short but sweet, this is a pleasant little dip into the world of horror from Bonnie Milani. Bonnie's one of my favourite indie writers - despite writing work that probably wouldn't ordinarily be to my usual tastes. Still, she has the knack of writing well and drawing me into stories that might not ordinarily catch me. This is a tale of darkness, those who dwell within it and the landscape they reach out to beyond the walls around them. 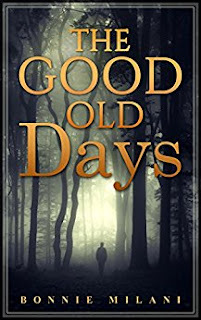 I can't say too much without giving away the story, but there's as much a dash of whimsy in here as there is of the world of horror, making this a delicious little tale to encounter. The Good Old Days is available on Amazon here.